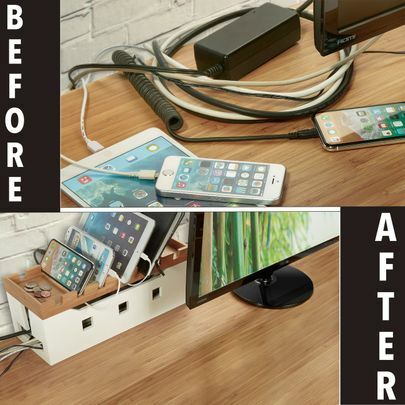 If your digital gadgets are taking over your home or office, Prosumer’s Choice is pleased to offer a perfect solution for organizing tablets and smartphones, so you reclaim much-needed desk or counterspace. This hybrid organizer functions as both a large yet discrete storage box and an elegant charging station, with a sleek white finish that blends in with any decor while hiding the cables that charge up your devices. 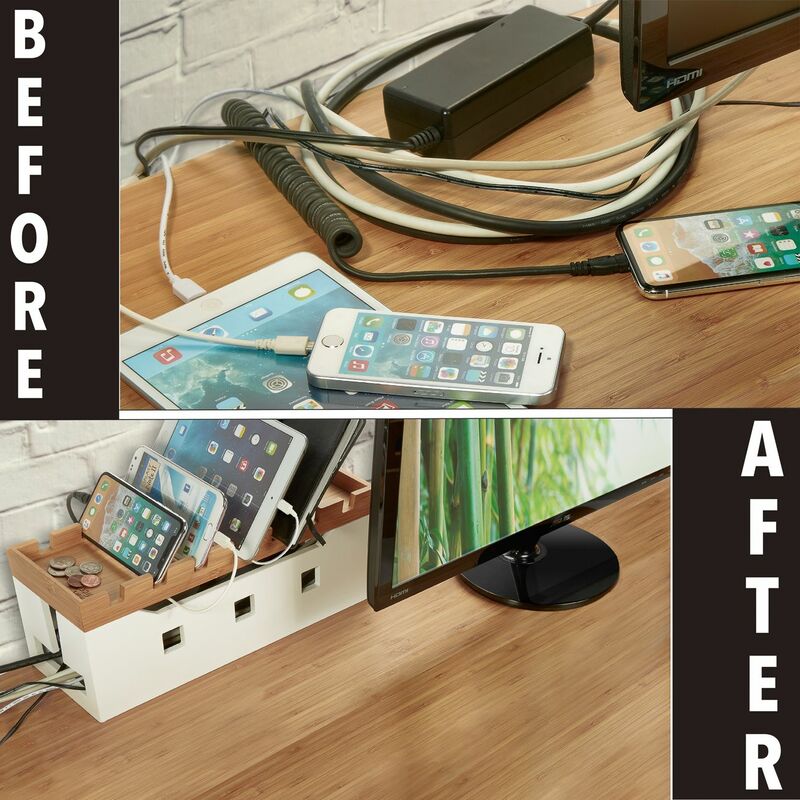 This innovative solution can dock up to seven tablets, phones or eBook readers while the high-capacity base means you can store laptop adaptors, USB hubs, surge protectors and more. 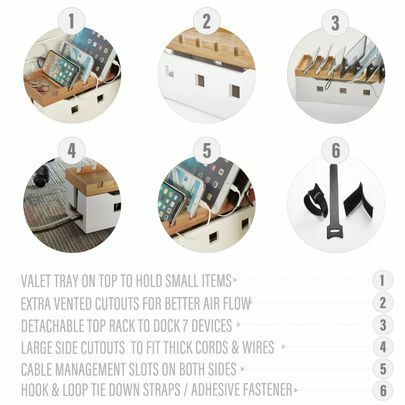 The top rack allows you to store up to 7 electronic devices so they’re always in one easy to manage, easy to find location. 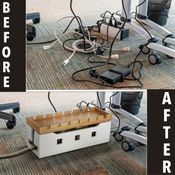 The rack’s raised edges mean you can also use it as a valet desktop tray or compartment to keep jewelry, keys, spare change, wallets, watches or other easy-to-lose items you might need day-to-day. 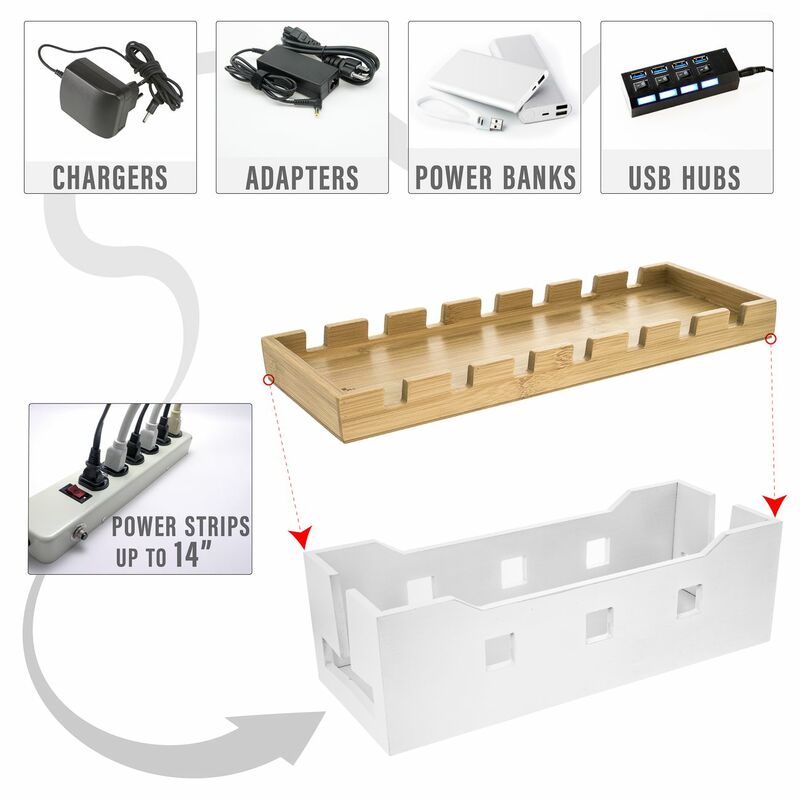 This can also be used as a handy bathroom countertop organizer that conveniently holds your hair clippers, shavers, hair professional grooming Kit, beard trimmer, electric razor, noes and ear hair trimmer, alike accessories and even your phone, gives you back your counter space, freeing it from clutter while you’re getting ready for your special occasion. 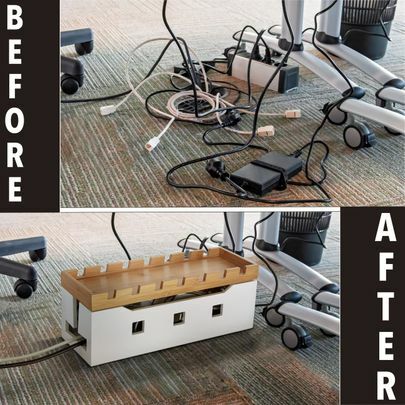 This Large container features anti-slip rubber feet to keep your new accessory secure, along with sticky hook-and-loop fasteners and adhesive strips to keep cords and chargers in one place. Vented slits allow better airflow to safely manage and protect your equipment. 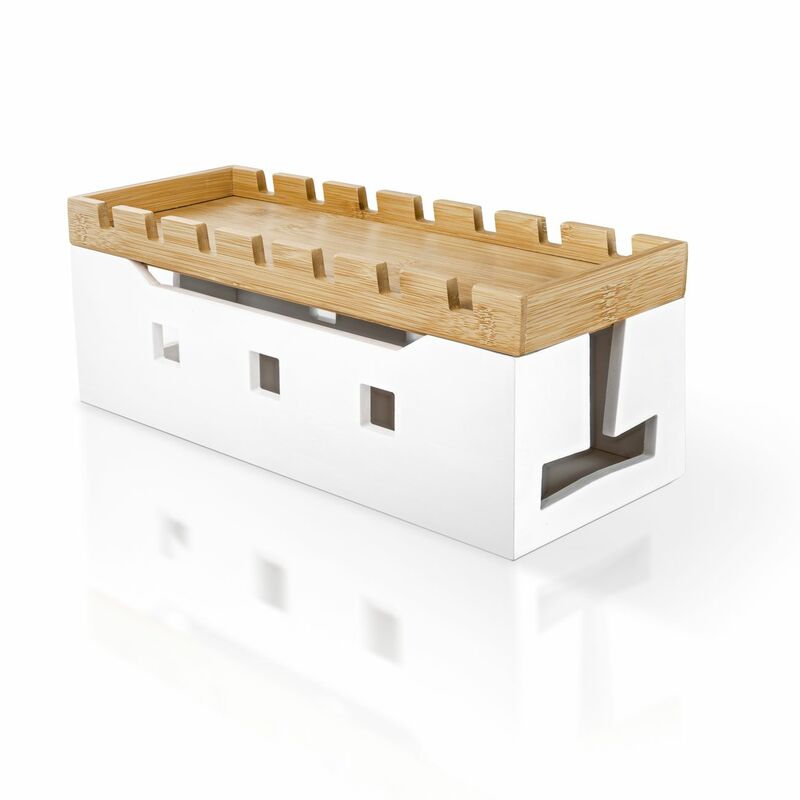 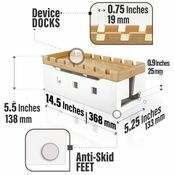 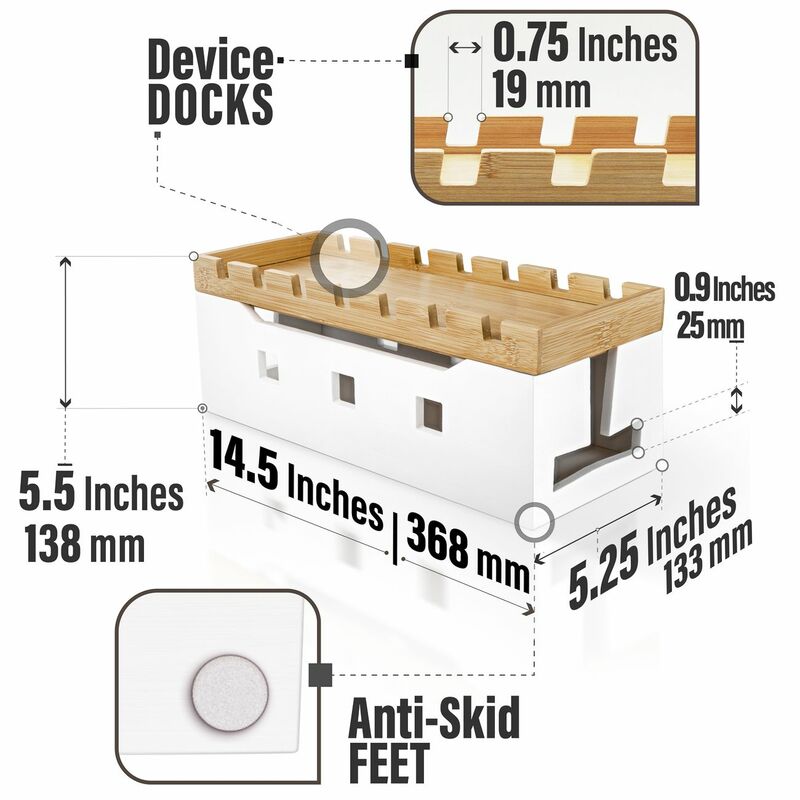 Finally, this entire unit is constructed from beautiful, sturdy and heat-resistant white bamboo, resulting in an environmentally friendly, space-saving accessory holder for floors, desks, bathrooms, kitchen counters and nightstands. Reclaim your lost space!